The consistency of New Zealand Sauvignon Blanc and the diversity of Riesling impressed a panel of expert judges at our latest Asian Masters, underlining the two white grape varieties’ immense market potential in Hong Kong. Riding the wave of the growing popularity of white wines in Hong Kong, Sauvignon Blanc and Riesling, two aromatic white varieties, are tempting discerning drinkers who are looking beyond all-rounded Chardonnay for varietal diversity, although the latter still remains the most popular white wine variety in the local market, accounting for more than 60% of total white wine sales. Capable of adapting to different terroir, Sauvignon Blanc can produce wines of vibrancy, freshness and zippy acidity when grown in the cool to moderate climates of the Loire Valley, Northern Italy, Australia, New Zealand, Chile and South Africa. Its flavour profile ranges from herbaceous notes of gooseberry, green bell pepper and fresh cut grass to riper tropical aromas of passion fruit and pineapple, in addition to toasty notes for those fermented in barrel. Riesling, on the other hand, is a white variety that has a broader style spectrum making everything from sparkling wine to still wine on a wide scale of sweetness, from off-dry to some of the most luscious in the world. Among all the 46 samples submitted for our Riesling competition, none were oaked, but they represented all of the major Riesling producing countries, with Australia, Germany and Austria leading the pack. 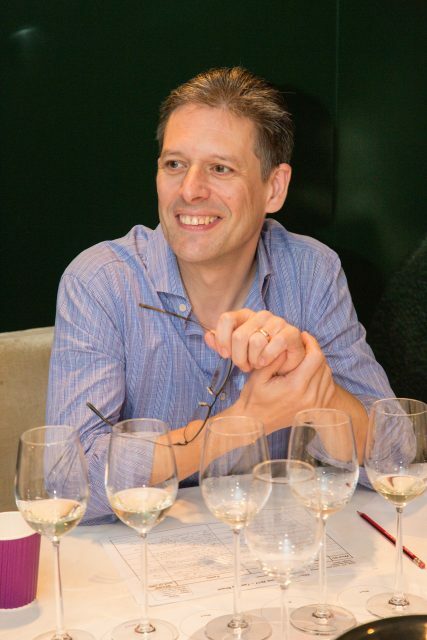 “I found that the best wines to be those that showed regional characteristics rather than those that appeared to be copying a more international style,” winemaker and wine educator Peter Nicholas commented. More encouragingly for the consumers, both in the Sauvignon Blanc and Riesling categories, well-priced wines bagged the most medals; with several of the Gold medal winners costing under HK$400 a bottle. “I think the wines are really good, especially for the Sauvignon Blanc flight and great value for money for these lower priced wines. Both are quite good, well presented, maybe one or two wines are not so typical, but in general, the wines showed great typicity,” said Tersina Shieh, an independent wine consultant – a comment William Chan, manager of Cuisine Cuisine, heartily agreed with. 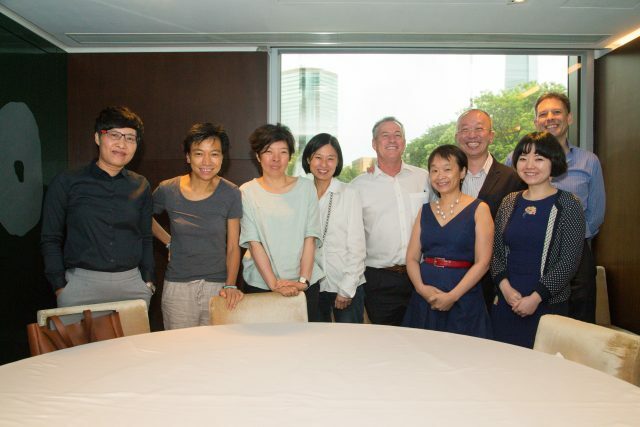 Held on 26 June at the award-winning Cuisine Cuisine restaurant inside the Mira Hotel, the wines were served blind and assessed by eight experienced judges, including Hong Kong’s top wine buyers, educators and consultants. 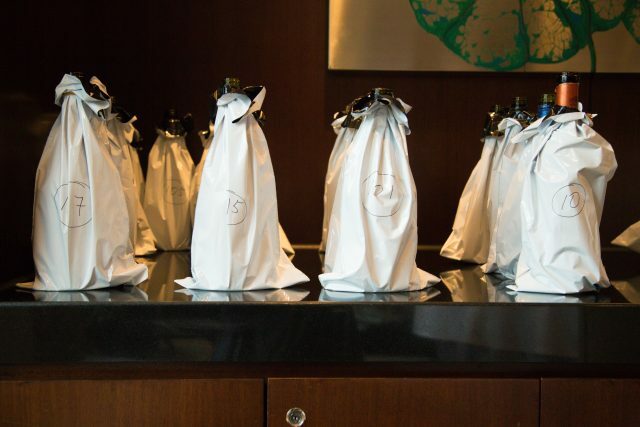 The wines were arranged not according to country but by their price band as well as style – oaked or unoaked, their sweetness (in the case of Riesling) and whether they were a blend or pure varietal expression – to make the competition as fair as possible. Although the Loire is the birthplace of Sauvignon Blanc, New Zealand is where the grape has found a spiritual home, and the country’s wine industry and international reputation was built on the white grape variety. Different from the Loire’s greener, more savoury style, New Zealand Sauvignon Blanc is known for being more on the fruity, aromatic side that packs more pungent aromas of grapefruit, gooseberry, passion fruit and other tropical fruits. Style wise, it would be erroneous to dismiss New Zealand Sauvignon as a one-trick-pony producing only fruity and aromatic dry whites. In fact, in addition to some regional diversity the grape is very versatile, capable of making lusciously sweet wines, more substantial dry whites when blended with Semillon and even sparkling wines made usually using the traditional method. Among the two Masters and seven Gold medal winners, out of a flight of 33 Sauvignon Blanc samples judged, six – one Master and five Gold medals – unsurprisingly came from New Zealand, primarily Marlborough. “The very good Sauvignon Blanc that I saw was what I expected of New Zealand Sauvignon Blanc, which is consistency,” commented Jeremy Stockman, general manager of Watson’s Wine, the biggest wine retailer in Hong Kong. Compared with Riesling, Sauvignon is more predicable in a sense in terms of style and quality, Stockman added. “A Muscato can be horribly sweet and dry, whereas a Sauvignon Blanc in particular, you know what you are going to get. It’s just about the style you like and quality. And I think people like about that,” he added speaking of the variety’s potential in Hong Kong. In terms of pricing, he believes it’s easier to find better quality Sauvignon Blanc in the market than Chardonnay of the same price band. “Chardonnay tends to be excellent on more expensive level. And with cheap Chardonnay, you see a lot of poor examples,” he explained. Indeed, five of the seven Gold medal winners are priced under HK$200 (US$25.6) a bottle, with one – The Crossing Awatere Valley Sauvignon Blanc 2016 – below HK$100 (US$12.8). Among the high performing Kiwi samples, Framingham Sauvignon Blanc 2016, a classic Marlborough Sauvignon from Wairau Valley at the top of New Zealand’s South Island, was awarded the highest honour of a Master. The Crossings Awatere Valley Sauvignon Blanc 2016 and Mud House Marlborough Sauvignon Blanc 2016 impressed judges with their perfumed and refined aromas that landed them Gold medals. Equally impressive were Peter Yealands Sauvignon Blanc 2016 and Yealands Estate Land Made Sauvignon Blanc 2016. Both are stellar examples of classic New Zealand Sauvignon and each was rewarded with a Gold medal as well. Clos Henri Sauvignon Blanc 2015, a more ambitious barrel fermented Sauvignon, stunned the judging panel with its complexity and layers of flavours, a style more reminiscent of Sancerre. Speaking of the grape’s current market in Hong Kong, Amanda So, department manager of wine merchant Ponti, noted that discerning consumers are looking beyond the obvious Sauvignon style. “Customers nowadays are starting to look for more complex Sauvignon Blanc with high skill treatment, not just the easy going, food friendly Sauvignon Blanc,” she stated. All the wines were tasted blind by the judges and assessed by their variety and price at Cantonese restaurant Cuisine Cuisine in Mira Hotel in Tsim Sha Tsui. Outside of New Zealand, the Kiwi-coined fresh, intensely perfumed style with zesty acidity was also found in cool climate regions in Chile, Australia and the US. Chile’s San Antonio in Casablanca, particularly the Leyda Valley, stood out among its peers, while in Australia, Tasmania, Yarra Valley and Adelaide Hills also left clear marks on the variety. Bird in Hand Sauvignon Blanc 2017 from Adelaide Hills, for instance, despite its youthful age, already showed a lot of potential with its intense aromas and mineral edges, for which it won a Gold medal. From California, where Sauvignon Blanc is occasionally known as ‘Fumé Blanc’, it was the toasty flavours and fuller body that took precedent and had the judges talking. Stonestreet Estate Vineyards Sauvignon Blanc from Alexander Valley in Sonoma County won the judges over for its complexity and weight, and its price also reflected the extra efforts in the cellar, moving up to the HK$300 (US$38.4) to HK$399 (US$51) price bracket. “American Fumé Blancs, a Sauvignon Blanc that is usually barrel fermented, so is less acidic, more creamy and sometimes smokey, are most enjoyable with their voluptuous lemon curd-like flavours,” commented Nellie Ming Lee, a Hong Kong-based wine consultant. Outside of Loire, across the Alps, Sauvignon Blanc has found success in northern Italy’s Alto Adige, Friuli and Collio with the best examples showing pungency and purity of fruit. A few Italian producers have also opted for oak to give more texture and body as seen in Attems’ ‘Cicinis DOC Sauvignon Collio 2015’. Encouragingly, Greece has been churning out top-winning examples of Sauvignon Blanc in recent years, led by Alpha Estate in northern Florina. The winery’s single vineyard ‘Kalyva’, an oaked 100% Sauvignon Blanc, won a Master, leaving a few of the judges stumped over its origin. “I was surprised by the wines from Greece. It is positive that we have new wine regions to choose from in Hong Kong. The wines from the classic regions showed great typicity to their origin and variety,” stated Sarah Wong, a freelance wine writer in Hong Kong.